Guarantee Trust Bank(GTB), as we all know are one of the fast rising bank in Nigeria, in fact I wouldn’t want to rate them as the best because they have virtually captivate almost everybody to their banking system, in which you hardly see anyone without a GTB account despite the person having other bank accounts. Guarantee trust bank has again come with a big bang development. We’ve all heard about their online banking, online transaction, but this time hardly have we heard about this new innovation. It’s a different phase of their development, though many might have heard about but not all have been able to channel it all because they never know the rudiment of the principle behind it. It saves a lot of time going and standing at the ATM machine, or probably going to the banking hall like some old mamas does. And what exactly is this new tech? 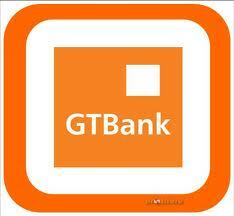 It’s how you can check you GTB account details and balance right from your phone, from your room via SMS. It’s this interesting? On several occasions that I’ve been to an ATM machines, where the person right in front of you will just get to the machine and after like a minute He/she is out, only to ask the person; are you done? The next response would be Of course, I only came to check my account balance. Ignorance they say is a disease and knowledge we all know is power. If you take your time and follow the simple steps am going to highlight below, then getting to check your GTB account balance via your phone (SMS) will be as simple as following instructions. Let’s get started . 1. You need to compose your text message with this format: Bal (space) NUBAN Number; Note: NUBAN Number is the new account number given to you by your bank, its always a 10- digit Number. 2 And then you’ll send it to this number: 08100550000 and wait a bit for the reply. E.g Assuming my NUBAN Number is 0034313100,which is anyway, I will type: Bal 0034313100 and then send to 08100550000. 3. After this process, you account balance will be send to you with immediate effect. 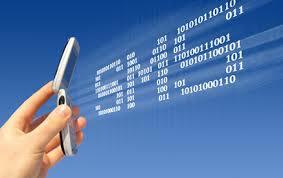 – You network provider may charge you for the SMS, which most of the time is always N5 for all networks. -Only the number you registered with, during the course of your opening of account with GTB can only be use for this process, if not you won’t get any reply. I believe justice has been done to the issue of you going to the banking hall just to check your account balance. And if you’ve enjoyed and learnt one or two things from this post, kindly share the post and tell others about our blog. We need your comments. Thanks. Pls wat if u v changed ur mobile no. Guess it's better you confirm the old phone number again… because it wouldn't be active like i rightly told you in the post.